I’ve had a mild obsession with everything rose for a while now, perhaps stemming (ha, see what I did there?) from my mom’s rose bushes at our childhood home and the beautiful, fragrant blooms that were just outside our front door. 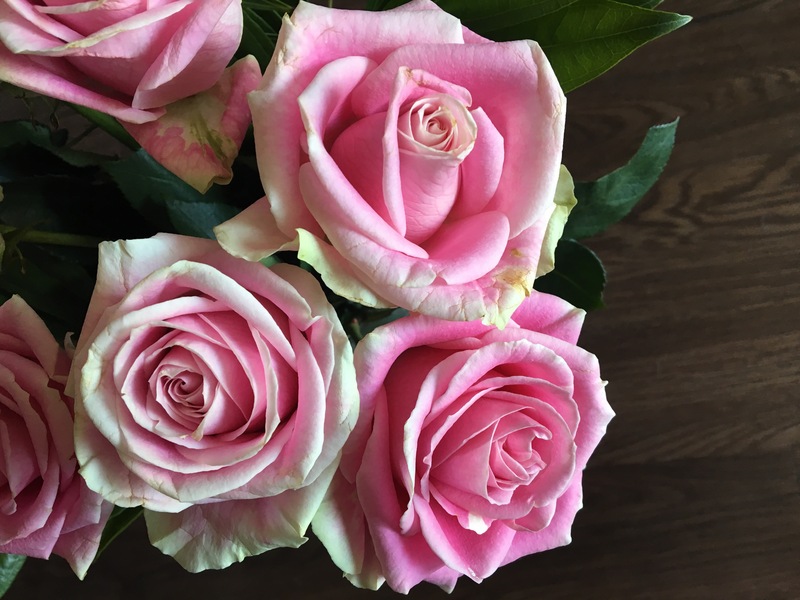 I also have a penchant for white flowers like gardenia and muguet, but I think the scent of rose is a classic fragrance that feels luxurious and ladylike in any season. So if you’re rose-faithful like I am, you might appreciate this lineup of products that I’ve worked into my regular beauty routine. Admittedly, most of these things are from my trips to France (and my beloved pharmacies), but you can get almost everything here in the US and I’ll link to them where I can. Diptyque is one of France’s most loved luxury makers of scented candles and perfume. I picked up this bottle in the town of Beaune, but it’s available at Diptyque boutiques, Space NK, and Nordstrom in the US. This is a mix of Damascus rose, centifolia rose, geranium, lychee, bergamot, cedar, and a bit of white musk, so it’s not overly floral but very, very feminine. The brand NUXE is best known in the US for their Huile Prodigeuse, a body oil that smells absolutely fantastic, but some of my other faves from them are their face products with rose. This toner helps remove residual cleanser after washing your face and is paraben and alcohol-free. NUXE also has a makeup remover from the same line – I find them very similar, so if I had to opt for one, I’d go for the toning lotion. I feel a little ridiculous paying $30 for lip balm, but the heart wants what it wants. So I ponied up the money and bought this lightly-scented pot of balm during a VIB sale at Sephora and use it when I want a bit of dewy sheen to my lips (there isn’t any real tint to the balm, so it just enhances your natural lip color). Aging creeps up on you slowly, and the best defense is a good evening skincare routine that includes a fabulous moisturizer. Everyone’s skin is different, so this might not work for you, but I love this night cream by Weleda (a German company). It has rosehip oil and plenty of vitamin E to promote elasticity and skin renewal. You can also find this one at a lot of health food stores, like Whole Foods and Sprouts. I picked up this bottle of rose water at a pharmacie in the town of Arcachon on my last visit to France. To be honest, there are a lot of rose water mists out there, so you don’t have to use this specific brand, but I do like this one because it’s quite concentrated and it’s organic. You can use this one as a toner too, or just as a refreshing spray whenever you need a little facial hydration. I picked this up from CityPharma in Paris this year. The Cattier brand is certified BIO (French equivalent of organic certification) and it’s quite inexpensive in France – maybe 4 euros at the most. I haven’t found it yet in the US, so sorry about that, but if you have any friends traveling to France, perhaps you can convince them to toss a tube of it in their luggage for you? This mask is made of pink clay and aloe vera, so it’s perfect for sensitive skin, and helps to refine skin texture and even out your complexion. My mother in law also uses this, and her skin is amazing. I only hope my skin looks as nice as hers does when I’m her age! And that’s it – my rose-colored beauty round up. What are your favorite rose products that I need to know about? Leave me a comment below!